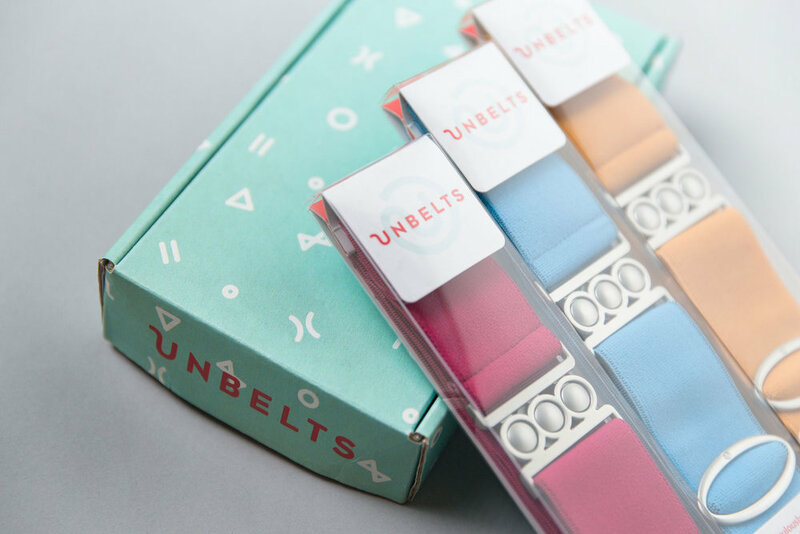 Unbelts is an ethically made belt company, that challenges its customer to rethink where their clothing is made. 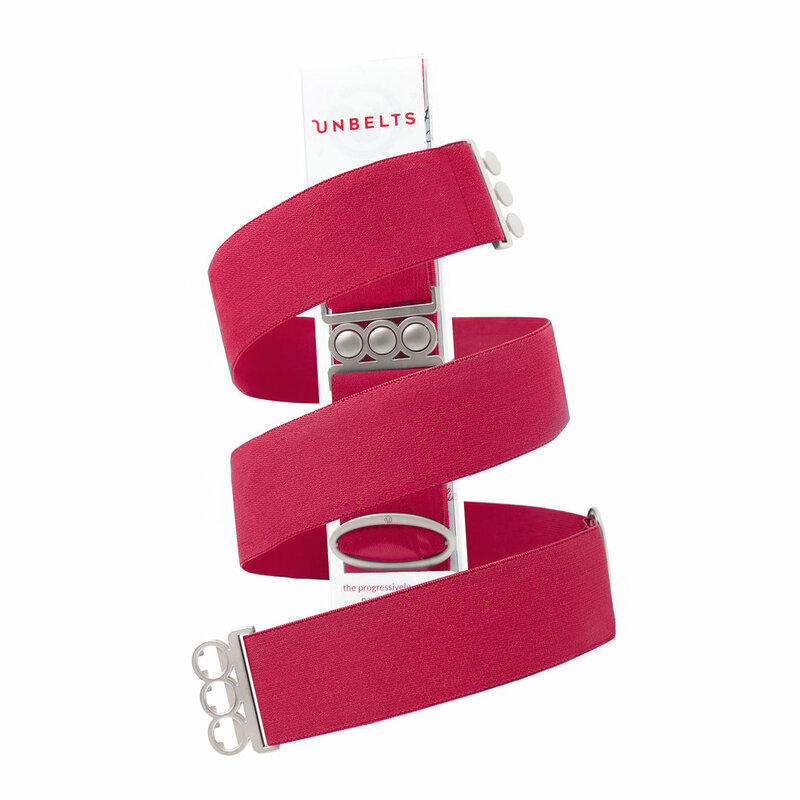 The functionality of the belt is key, but just as important is a transparent supply chain and a commitment to creating well paying jobs in safe and healthy work environments. 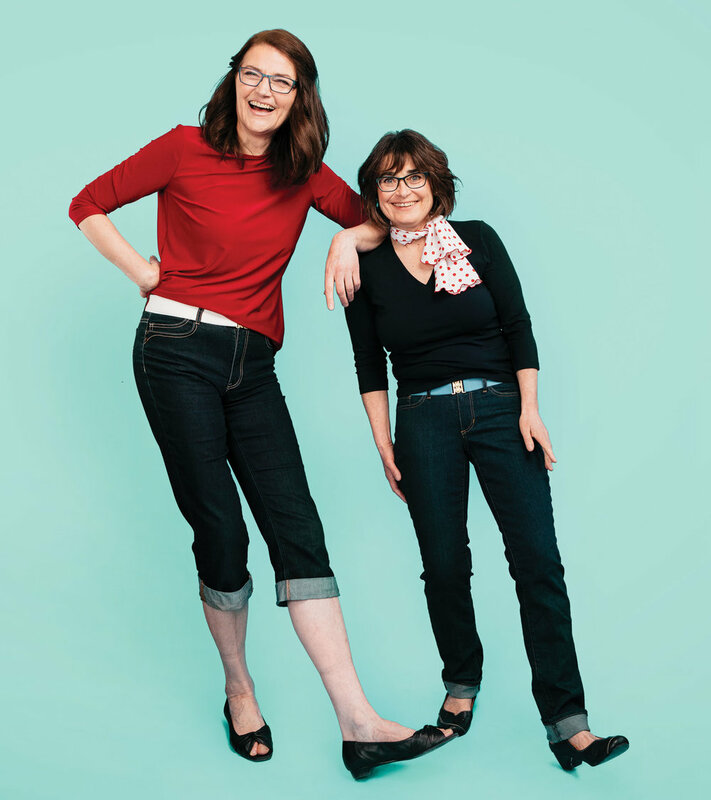 Formally Flatter Me Belts, Hazel helped develop the newly christened Unbelts brand in 2017 with a bold and punchy brand built tailor made for the e-commerce world. Building on an existing treatment, the visual identity is playful, engaging and welcoming, perfectly suited to the brand’s body positive messaging. 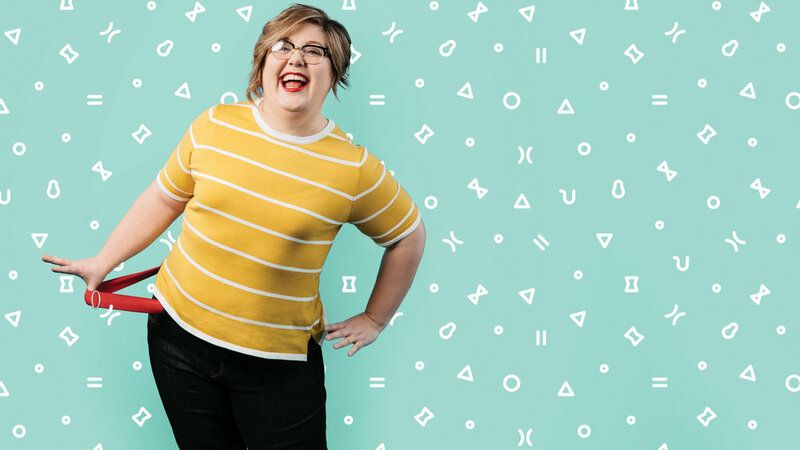 The Unbelts brand is a celebration of body positivity and ethical manufacturing. 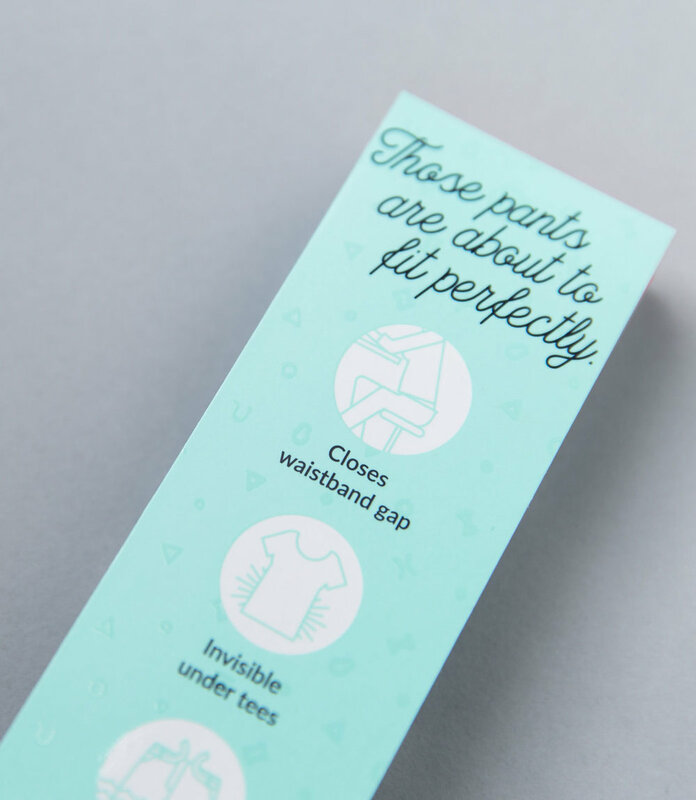 It makes people feel good about the way their clothes fit and the how they are made. Models for the brand photography were a diverse group of members of the community. One of the main touchpoints of the brand was the product packaging. 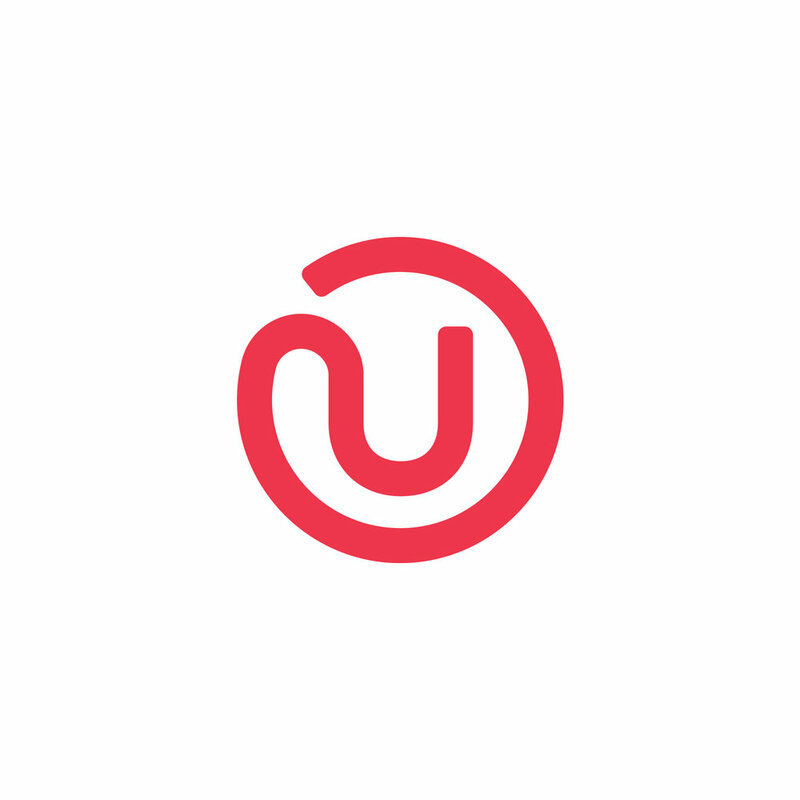 It needed to elicit the playful and warm vibes of the brand while still showcasing the numerous features and benefits of the product. 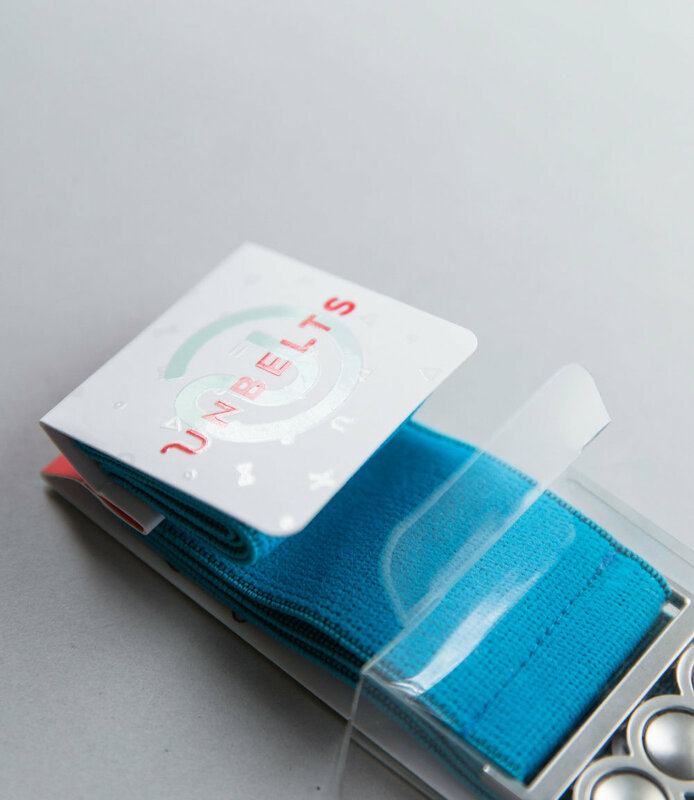 Produced in 3 spot colours with a UV varnish and packaging in a clear plastic box allowed customers to see the belt colours and features and made shipping and display simple and efficient for the client. 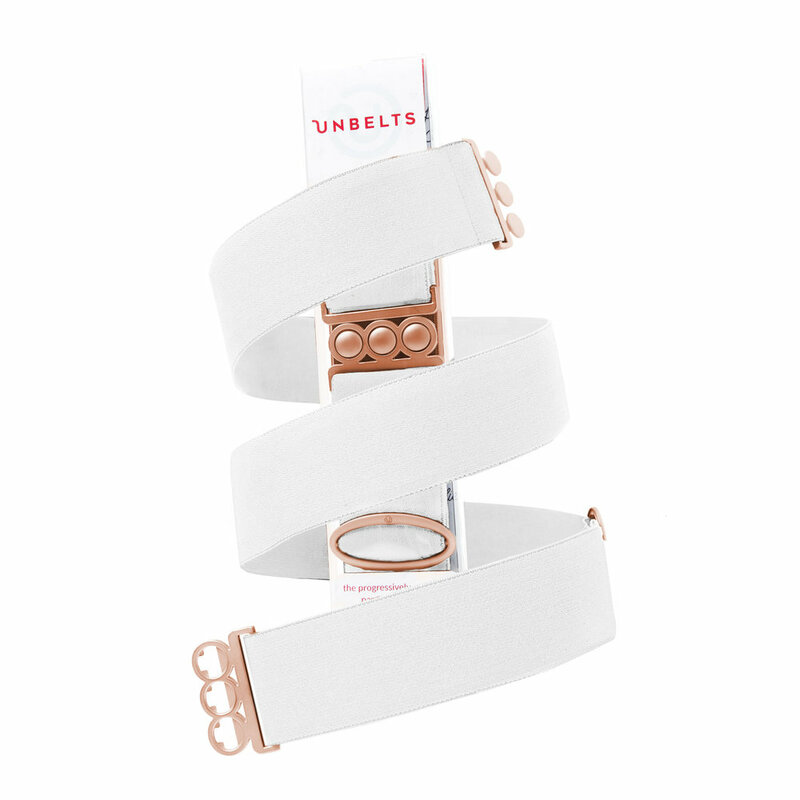 In late 2018 Unbelts launched a new product, the Intrepid belt. A genderless, locally produced belt that could exist in the outdoors sports and travel market. With this new product line came an opportunity to evolve the relatively new brand , utilizing updated photography and illustration styles.